More and more people are living to be centenarians. Are they just lucky, or are there factors that you can apply to your life? We had just celebrated Lydia’s 111th birthday with her family and her church and community friends. There was a large decorated cake and flowers and letters of congratulation from the president, the state governor, senators, and city mayor. I stopped to give her a hug and say goodbye. “Now you’ll be here at my next birthday, won’t you?” she enquired with a laughing smile. I assured Lydia I would. And I was there again, a year later, in 2005, for her 112th birthday party. Her eyes were perhaps a little dimmer, but there was still that engaging smile and chuckle in her voice. Lydia Newton had a passion for life and lived it in every way. What impressed me about Lydia was how young she looked, her vibrancy, and the clarity of her memories. What was her secret? I concluded that much had to do with her enthusiasm for life and her positive outlook. That thought has been reinforced as I have met and interviewed other centenarians and those in their nineties. Lydia passed away a few months ago after a short illness, but eagerly expecting future everlasting life. At the time of her death, she was the seventh-oldest person in the U.S.A. She was one of a small group of super-centenarians in the world, those whose age is verified to be 110 years or more. The oldest living person in the world, in December 2005, was 116-year-old Maria Capovilla of Ecuador. Would you like to live to 100? ABC News and USA Today asked those questions in a poll conducted in October 2005. Only about 25 percent of Americans said they would like to live to 100. An average respondent would like to live to 87 years, which is nine years more than the current national average. But 64 percent said it would be worthwhile to practice healthful behaviors (not smoking, healthful diet, exercise, avoid alcohol and stress) to reach 100 years. The biggest concerns about living longer were the loss of health, loss of mental functions, and the inability to care for oneself. During the last century in the United States, life expectancy increased dramatically from 47 years in 1900 to 77 years by 2000. The 1990 census classified 31 million Americans over the age of 65 of whom 37,306 were counted as centenarians.3 Four of every five centenarians were women. In the United States, by the year 2050, on every day of the year more than 150 people would be celebrating a 100th birthday. Could you or your child or grandchild be one of those blowing out the 100 candles and receiving a congratulatory letter from the president? The quest for eternal youth and anti-aging remedies is millennia old, from the time of the Pharaohs to the travels of the Spanish explorer Juan Ponce de Le�n seeking the fountain of youth in 1513 to modern-day genetic engineering. In the past 20 years there has been much research into aging to discover the secrets of a healthy long life. Among the numerous studies are the New England Centenarian Study, the Okinawa Centenarian Study, and the Adventist Health Study. Dan Buettner, adventurer-journalist, and photographer David McLain traveled the world seeking what they called hot spots of longevity for the November 2005 National Geographic magazine feature story, “The Secrets of Living Longer.” They selected three groups of long-living people: inhabitants of the islands of Okinawa, a group in the mountain villages of Sardinia, and Seventh-day Adventists in Loma Linda, California. They interviewed more than 50 centenarians for the story, and “there was not one grump in the bunch,” says Buettner. The long-living seniors in each place shared key lifestyle habits: don’t smoke; put family first; have daily physical activity; maintain a social network of family and friends; and eat fruits, vegetables, and whole grains. But Buettner also summarized regional differences in practices and beliefs. Sardinians drink red wine in moderation, share work with their spouses, and eat cheese. Okinawans eat small portions of food, find purpose in life, and keep lifelong friends. 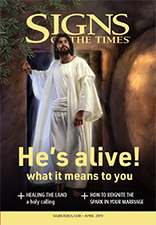 Adventists eat nuts and beans, observe the Sabbath, and have faith. In Okinawa the proportion of centenarians is four times greater than in the U.S. The Okinawa Centenarian Study is following the experience of more than 600 centenarians. Their low-calorie diet of miso, whole-grain rice, vegetables, and soy appears to play a significant role in longevity. The 1976 Adventist Health Study followed 34,000 Californian Seventh-day Adventists for 12 years. On average, Adventist men lived 7.3 years longer and Adventist women lived 4.4 years longer than other Californians. Vegetarian Adventist men and women had even greater longevity, with up to ten extra years. Dr. Gary Fraser, director of the study, found that five simple lifestyle behaviors contributed almost equally to those extra ten years of life. About two years of life each were added for never smoking, engaging in regular vigorous exercise, maintaining a healthy weight, eating a vegetarian diet, and eating nuts four or more times a week.5 Among the Californian Adventist vegetarians, 48 percent of men and 60 percent of women survived to 85 years of age as compared to 20 percent of men and 39 percent of women in the U.S. population. One-hundred-year-olds were active, vibrant, enjoying life, enjoying family relationships, enjoying relatively good health. Not the picture that many have of old age. But the healthy oldest old are changing that attitude. 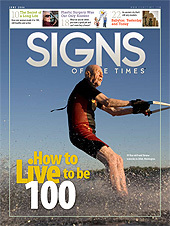 Marge Jetton still drives her car at 101 years of age, Dr. Ellsworth Wareham at 91 assists with cardiac surgery, Minnie Iverson Wood teaches music at 97 years of age, and Frank Shearer water skis at 100 years of age. What are their secrets? Is it their genes, the food they eat, or their positive outlook on life? Perhaps it’s all of these! There’s an advantage to have long-living parents. Siblings and children of centenarians tend to live longer. But some research suggests inheriting long-living genes may only be 30 to 40 percent of the equation. The major factor is lifestyle—how you live, what and how much you eat, what you do, and how well you cope with stress. You cannot change your genes, but you can change to a more healthful lifestyle. During the next decade we are likely to discover many more secrets of exceptional healthy longevity. Some scientists believe that advances in technology and aging research will stretch the potential lifespan to 125 years and more. In the meantime, these behaviors will add extra healthy years to your life. 1Genesis 5:25. 2Psalm 90:10. 3Centenarians in the United States, USDHHS 1999. 4World Population Prospects: The 2002 Revision, United Nations Population Division. 5Gary E. Fraser, Diet, Life Expectancy and Chronic Disease: Studies of Seventh-day Adventists and Other Vegetarians (Oxford University Press, 2003). Dr. Terry Butler is an Associate Director and Co-Investigator of the Adventist Health Study-2 that is being conducted by Loma Linda University, School of Public Health. As one of the largest epidemiological studies in North America, it is planned to recruit 105,000 Seventh-day Adventists from churches in the United States and Canada. Maintain an appropriate weight. Practice preventive measures. Exceptional long-living survivors have lower rates of heart disease, stroke, cancer, diabetes, and infections and often have good physical and mental function until the latter stages of life. “And in the end, it’s not the years in your life that count. It’s the life in your years.” —Abraham Lincoln. Have a positive attitude to life, develop a sense of optimism, smile and laugh much. Tobacco smoking is still the largest preventable cause of ill health and early mortality in the world. Smoking reduces life expectancy by an average of 14 years. Some centenarians may have smoked, but if you have never smoked or have quit, you’re already way ahead. Many of the long-living groups in the world eat mostly a plant-based diet—vegetables, fruit, legumes, whole grains, and nuts. Plant foods are rich in the vital nutrients and antioxidants, which protect against cell damage. Red meat is a minor part of the diet of most centenarians. It is never too late to start a regular exercise program, but the earlier you start the better. Include aerobic exercises, such as walking and swimming, and strength-building and stretching exercises. Take time out each week to worship, to spend quality time with family and friends, and to relax and rejuvenate. An active spiritual relationship with God gives a sense of being and belonging. It gives purpose to life and a hope for the future. Keep the mind active by reading, writing poetry and stories, painting, and drawing. You are never too old to learn something new, be it the computer, a language, or a musical instrument. Friends and family provide a social support system. Make friends, develop new friendships, be friendly, and encourage and help others in the journey of life. We cannot avoid stress. But we can learn to cope and move on, even in the darkest hour. Most healthy aged people have had more than their share of stress in life but have resilience, a spiritual strength, and good coping responses. There is a good chance that your children and grandchildren and perhaps even you will reach the 100-year mark. Plan now to enjoy the best of it all. “Grow old along with me! The best is yet to be, the last of life, for which the first was made.” —Robert Browning.